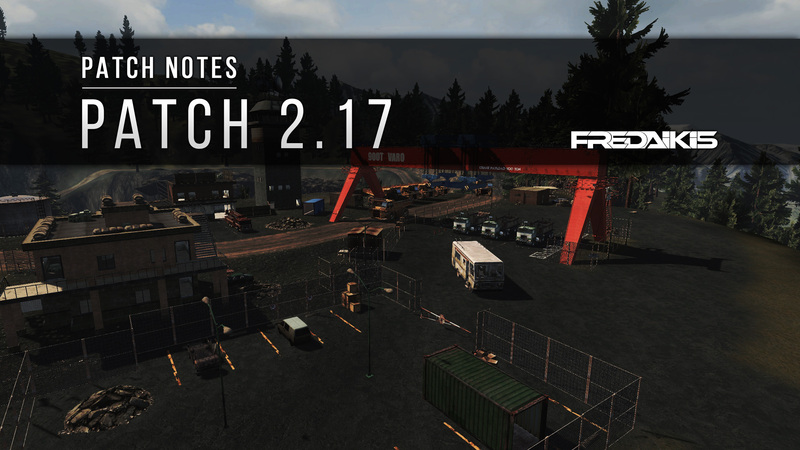 We are super happy that we managed to finish testing before the weekend because this means we are rolling out patch 2.17 RIGHT NOW! We hope you guys are excited for this one, cause it's gonna be a nice one. Let's jump straight into it! IF YOU ARE HAVING TROUBLES UPDATING YOUR LAUNCHER, PLEASE GO TO YOUR GAME INSTALLATION FOLDER AND START YOUR "NewZLauncher.exe.new.exe". We have done major improvements related to bad connections of players. The advantages were too much on the side of the lagging player (with a bad connection). This is obviously not fair since in any case the players with a good connection shouldn't be disadvantaged compared to players with a bad connection. Improvements have been made and we will keep monitoring the problems / abuse. We would also like to once again point out that we are aware of players abusing macro's in ways that they have a big advantage over other players. We have also done major improvements related to preventing players from abusing macro's where we for example now made it that shooting a weapon in semi fire mode as fast as the auto fire mode no longer has decreased spread. (Pretty much to prevent players from abusing any kind of shooting scripts / macro's.) Improvements have been made and we will keep monitoring the problems / abuse. Airdrops speed has been increased. Airdrops were just too slow. Airdrops in the Battle Royale game mode were faster than anywhere else. We have now made it so the speed is everywhere like how it is for the Battle Royale Airdrops. This includes: Random airdrops, Airdrop Caller GC, Airdrop Caller GD. Fixed a kick related to players trading / accepting trades. If you still experience kicks while trading please report them to us so that we can fix them! Fixed a bug in the marketplace where "new" items would not always show in the top in some marketplace tabs. Fixed a bug causing the in-game chat to be hidden by default. A lot of new players had this and didn't know there was an actual chat. The chat is now enabled on default. Remember you can always disable the chat when you press "h". Fixed a crash related to the particle system. Fixed a sound glitch related to the footstep sounds of players when walking on multiple different terrain layers. The sound would bug and play annoyingly fast when walking here. This was happening in pretty much all maps. Fixed a memory corruption / crash related to the news system in the main menu. This fix will result in players overall crashing less. Weapons will automatically reload different magazine type if out of ammo. Before weapons would automatically reload ONLY to the ammo they have attached, now when ever the attached ammo type runs out it will recognize the next compatible ammo with the highest amount of bullets and automatically reload the weapon with that magazine. In this patch you will notice some server changes when it comes to the amounts of servers and available maps. In certain regions you will see that overall amount of servers has been reduced based on feedback and we believe that by reducing the amount of available official servers a little bit we can at the same time make the remaining servers more populated. Please keep posting feedback as we can use that for future improvements. Added a new feature that allows players to change backpack in-game by drag / dropping. We made it so that your current backpack now shows in the inventory screen. There is also a button that allows players to change the skin on their equipped backpack without needing a second backpack. Updated the inventory UI when dropping items. Added a dedicated area that opens when dragging any item in your in-game inventory. You know have to drag an item there to be able to drop it on the ground. Fixed a camera bug related to vehicles in FPS / TPS. Sometimes a random huge head would appear in the middle of the screen. This is now fixed. Fixed a glitch related to exiting vehicles where players could abuse this to get through walls / on top of buildings or up on other high places. The hours needed to receive one box has been updated from 1 hour to 2 hours. This means every 2 hours you watch a New Z stream you will receive 1 Community Box. With this patch we have now also updated the Twitch Box's content. (As promised) This means all the Easter stuff is now removed and new content has been added. We would like to leave this a surprise but at any moment you can also go to the in-game marketplace where you can find the Community Box (can not be bought) where at all time you will be able to see the content that's inside the box. (just click on "See content"). We are extremely happy with the results after enabling the Twitch Drops and we want to give a special thank you to all of you who have supporting our streamers at Twitch. Players can still click on exit and exit the game normally at any moment. Players can choose what load-out to spawn with OR without any load-out. This only works if you have saved load-outs. Players can choose where to spawn: Nearby Spawn, Random Spawn, Spawn in Safe Zone. Safe Zone spawns only work in maps where there is safe zones and PVP with random spawns only have the random spawn option. NOTE: Nearby Spawn will put you at a minimum of 450 meters, so this can't be abused to come back and kill the killer instantly. When these options are decided the player can click on "Revive" and a 10 second timer will count down. When the count down is over the player will re-spawn in the server. Next to the revive timer there is a small indicator that says how much GD it costs to revive. Remember: If you have a premium or higher account subscriptions reviving is free. Fixed some mistakes in the Portuguese translation pack. Fixed the older and earlier-used "burned zombie". We have released this burned zombie in the past but there was some issues with the meshes. We have now fixed the zombie and also optimized the model. This burned zombie is now going to be in the game again! Fixed some other issues with the cali hedges where some textures would not look good and some shadow problems. Fixed the Norad Office building (02). Created LODs and optimized the original model. Fixed an issue related to LOD's of the 5 story city building. Distances are now properly set. Fixed the Airport Tower model where players would be able to glitch inside a invisible room by jumping up the first stairs. Fixed the Big Market model where players were still able to glitch through one of the outside walls. Fixed the wooden shacks used in the trading lounge map. There was some issues with the interior walls and the textures / shadows of the model. Fixed / Updated some LOD distances for the post office due to community reports. Fixed / Optimized and created LODs for the propane tank object. (Example: https://prnt.sc/iu8n7o) Also fixed the smoothing groups. Fixed / Optimized and created LODs for the restaurant interior objects. These objects are now ready to be used again and placed inside the restaurants. Added a bunch of new buildings / content ready for the new map. Also created LODs for these new buildings. Before we jump into the item additions we did (new items) we would like to explain what our current goal is with some older skinboxes. From now on and throughout the upcoming patches we are planning on reworking all of the older boxes. This means: new skins, a new box model, etc. You will see below which skinboxes got reworked. Added a new helmet called: M. Style Helmet Heavy. This is a very heavy and high protected helmet with 25% damage reduction it's going to be the best helmet in the game. (at least with the most protection) This helmet will only be available in Open World. You can read more about the spawn locations further in the patch notes under "Open World Updates". Added a new country riot shield: Riot Shield Malaysia. Added a new country riot shield: Riot Shield Iran. Added a new clan riot shield: Riot Shield RHZera. Added a new clan riot shield: Riot Shield AMG. Added a new clan riot shield: Riot Shield GODS. This Riot Shield is added because the GODS clan was third place in the last Super cup. Added a new type of vehicle: "Sheriff Dragster". This is a driveable cool looking dragster vehicle. This vehicle is similar to the buggy and has seats for a maximum of 2 players. We are not sure when / where this vehicle will be released but be prepared! Added a new type of silencer called: "Tactical Silencer". This silencer is a lighter version of the normal silencer and has the same sound as the MP5/SD. For this item we are also not sure yet where / when it will be released so stay tuned! Added a new skin for the Small Backpack: Small Backpack Turtle. Added a new skin for the K. Style NVG: K. Style NVG Slash. This K. Style has a slash mask attached and will most likely be in the Killer Skinbox. Added a new skin for the K. Style NVG: K. Style NVG Shadow. This K. Style has a shadow mask attached and will most likely be in the Killer Skinbox. Added a new skin for the K. Style NVG: K. Style NVG Skull. This K. Style has a skull mask attached and will most likely be in the Killer Skinbox. Added a new skin for the K. Style NVG: K. Style NVG Black. This K. Style has a black mask attached and will most likely be in the Killer Skinbox. Added a new skin for the K. Style NVG: K. Style NVG Jason. This K. Style has a jason mask attached and will most likely be in the Killer Skinbox. Added a new skin for the M4A1: M4A1 Chrome. Reworked the skinbox model and icon. Added new clothes for the Climber: Battle Royale. Added new clothes for the Ex-Spetsnaz: Ex-Spetsnaz. Added a new skin for the Blaser R93: Blaser R93 Battle Royale. Added a new skin for the AKS-74U: AKS-74U Battle Royale. Added a new skin for the Custom Guerilla: Custom Guerilla Battle Royale. Added a new skin for the Heavy Armor: Heavy Armor Battle Royale. Added a new skin for the FN Scar CQC: FN Scar CQC Battle Royale. Added a new skin for the IBA: IBA Battle Royale. Added a new skin for the K. Style NVG: K. Style NVG Battle Royale. Added a new skin for the Large Backpack: Large Backpack Battle Royale. Added a new skin for the K. Style Helmet: Moto Helmet Battle Royale. Added a new skin for the SVD: SVD Black Night. Added a new skin for the K. Style NVG: K. Style NVG Black Night. Added a new skin for the Honey Badger: Honey Badger Black Night. Added a new skin for the IMI TAR-21: IMI TAR-21 Black Night. Added a new skin for the Custom Guerilla: Custom Guerilla Fallen Angel Black Night. Added a new skin for the Custom Guerilla: Custom Guerilla Black Night. Added new clothes for the Ex Cage Fighter: Hynx V2. Added new clothes for the Ex-Spetsnaz: Poloski. Added new clothes for the Hunger: Red Dragon. Added new clothes for the Mechanic: Clown. Fixed / Improved / the Custom Vest. There was some mistakes made in the first version of the model. All weird faces are now fixed! Fixed / Improved / the Lunaa Backpack. Corrected some mistakes in the model and fixed the smoothing groups. The model should overall look better now than before. Fixed the ACOG Sight attachment alignment. The cross hair wasn't aligned perfectly in the center. This has finally been fixed / improved! Fixed the icon of the Bandage. Improved lighting and overall quality. Fixed the icon of the Bandage DX. Improved lighting and overall quality. Updated the MP5/SD fire mode. This weapon can now also in full auto mode. Updated the damage of the Fire Axe. Increased the damage a bit based on community feedback. Updated the default Ballistic Shield materials. Also improved the overall look of this shield. Updated the store icon of the normal silencer. Fixed / Improved / Updated the store icon of the Fun Edition Skinbox. Fixed / Improved the SVD Chrome based on community feedback. The skin is now full chrome. Also updated the scope to a full chrome scope. Fixed / Improved / Updated the K. Style Helmet Aviator. Updated then model and the glasses don't "fly" anymore. Fixed / Improved / Updated the Chupacabra Hat. This item was with a K. Style Helmet attached since it is a K. Style Helmet skin but we have reverted back so that now this is just a hat and the beard. (Still a skin for the K. Style Helmet) Therefore also the name got updated. Fixed the Pinky Bear backpack skin. Players are able to use this skin again! (Don't worry no one lost any learned skin). Keep in mind that after latest patch the Teddy Bear backpack is now a skin for the small backpack. Fixed the Lunaa spray. Fixed the white lines around the spray. Fixed the item description of the IBA Chrome Blue skin. Fixed the OTs-03 SVU Fun Edition that was using the wrong texture. Fixed the K. Style Helmet Serenity. The skin was almost chrome in Colorado due to the lighting. Fixed the K. Style NVG Serenity. The skin was almost chrome in Colorado due to the lighting. Fixed the PSO-1 Fun Editon scope. The glass is no longer green. The SVD Chrome now has a chrome scope instead of the default scope. Reverted back the "Wizard Hat" skin. This skin is now without K. Style Helmet attached! (Thanks everyone for the feedback!) Also improved the quality of the mesh and fixed the smoothing groups. Reverted back the "Fredaikis Hat" skin. This skin is now without K. Style Helmet attached! (Thanks everyone for the feedback!) Also improved the quality of the mesh and fixed the smoothing groups. Improved the glowing on the Neon Dragon Set. This set is going to get reworked soon. Reworked the Mystery Skinbox and updated to the new skinbox model. Also updated the store icon. Added a new item called "Super Zombie Head". We are not sure yet what we are going to do with this item but we will probably make it so that players can use this head to craft items with. It will most likely start dropping from Super Zombies. Stay tuned for further information / updates. The new M. Style Helmet is now available through random airdrops. This item is rare and the best helmet in the game and for now ONLY obtainable through airdrops. Fixed the item spawns at the secret spot. Fixed it so that food no longer spawns there. Added back / Improved overall Lighting. Colorado V1 is now a premium ONLY map. Fixed some flying rocks around Campos City towards the Safezone. Added some collision walls around the small market to prevent players from getting on top of the building. Lowered the amount of fog on the map. Added some crates as jump-ups around the convention center. Closed the small building on the west side of the map due to community feedback. Fixed some posts attached to some walls where players could glitch through. Fixed an issue related to the random spawn system. Clan tags are now disabled. Lowered the price of event servers. Note: players can NOT use the new in-game revive feature in the event map. Groups in Battle Royale will now share the win / highest group position, as well as the rewards. This was something requested by a lot of players and we are happy that we have made this improvement. In the Battle Royale Lobby / Warm-up players now have infinite reload. This means that we have removed all ammo from the load outs and you will no longer ever run out of ammo. The Battle Royale end screen now has a global chat / group. The radiation dome now moves slower and adapts to game play better. Spectators now see the radiation dome properly now. This wasn't showing properly before when spectating other players. If your character is in the playable area, but your camera is in the "radiation area", the radiation dome will not turn blue anymore. The sound volume decrease in the Battle Royale lobby works from a percentage of the master volume now. It also will apply before joining the server, this way you won't hear loud sniper shots just as you join. Moved some player spawns towards more closer towards the areas with loot. Some spawns were just too far away from POI's. Fixed some miss-placed / flying objects in the lobby. Highered the overall brightness based on community feedback. Once again this is just a "between" patch before we release the new map. We plan on finishing the new map as soon as possible where we aim to do this for the next upcoming patch. Of course we never know how things go and we would like to make sure everything is tested and 100% good quality before we release the actual map but this is at least what we aim for! Estimated patch size: 420 mb. Patch ETA: Patch is rolling out as we speak. Servers will go down soon. Estimated downtime: Around 30 minutes to 1 hour max. Congrats on the first comment! Shout out to you! Hey, @Svena69 how should the revive system work in survival, because even if you have premium you still need to wait 5 minutes. I dont get this at all, this might also kill the game mode at all. Awesome work guys. If only people who have never played this game before could see how much work and development you put into the game. I showed the patch notes to some friends who quit the game and they are eager to come back now. With the new helmet, are sniper headshots still a kill? We are almost done patching. Hold on a little longer. "Airdrops speed has been increased. Airdrops were just too slow. Airdrops in the Battle Royale game mode were faster than anywhere else. We have now made it so the speed is everywhere like how it is for the Battle Royale Airdrops. This includes: Random airdrops, Airdrop Caller GC, Airdrop Caller GD. "